Far below the desert, the Earth Dragon slumbers fitfully. From the darkness of her dreams come whispers of war… and death. Sulema is a newly minted warrior and a true Ja Akari a daughter of the unforgiving desert. But her people are fading from the world. The warriors and wardens are hard-pressed to protect those who remain, and the vash ai great cats who have called the people kithren for as long as there have been stories bond with fewer humans each year. 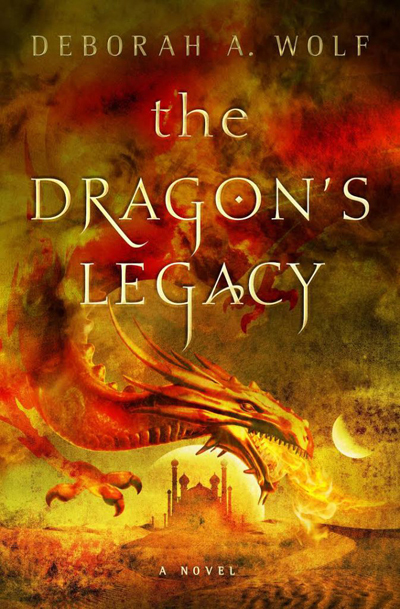 When a mysterious man appears in her home of Aish Kalumm, Sulema learns that the Dragon King is dying in distant Atualon. As he fades, so does the magic that sings the Earth Dragon to sleep. And, she soon finds, there are some who would have the dragon wake, so they might laugh as the world burns. Deborah A. Wolf has some personal knowledge of life as a barbarian warrior, having grown up in a wildlife refuge in Alaska. She later worked as an Arabic linguist for the US Army. Before Wolf s formative years in Alaska, she spent some of her early years on a deserted island. She has a love of different cultures where she can use those settings to create giant monsters, as well as flora and fauna. Deborah currently lives in northern Michigan.